Beautiful Voices is our ongoing blog series that highlights inspiring, empowering women. Our most recent Beautiful Voice is Christiane Northrup. See what she says when Annmarie asks her some questions about her own personal beauty. Christiane Northrup, M.D., is an ob/gyn physician and a leading authority in the field of women’s health and wellness. She is also the New York Times bestselling author of Women's Bodies, Women's Wisdom, The Wisdom of Menopause, and Goddesses Never Age: The Secret Prescription for Radiance, Vitality, and Well-being. The best piece of advice I ever received was two-fold—from my college advisor (Robert David) and from my Dad. I had finished college, was feeling completely burnt out. And after a year off typing invoices at my boyfriend’s father’s office furniture company (which was depressing), I decided to apply to graduate school. My college advisor said, “Why don’t you go to med school?” And my Dad said, “At the end of four years, you have to be something, might as well have an MD after your name.” That sealed it. These days I feel more and more at peace everywhere. But there is something special about being right in my back yard in Maine. It feels like a little piece of sacred. Beauty is a quality that uplifts everything. It’s not just about outer appearance. It is both an inner and outer quality. It resonates with the heart. And can take your breath away. Beauty brings heaven down to earth. When I want to pamper myself, I get a massage, then get my hair blown out and go to lunch with good friends. Took me years to feel like I deserve this. Now it’s part of my routine whenever possible. My biggest challenge throughout my life has been feeling loveable and desirable as a woman. Being a doctor, a mother, an author, and business person. Easy. But loving myself— deeply, completely? Feeling comfortable in my own skin. Another story entirely. The inner work that became Goddesses Never Age was the turning point on this. And I’m happier and more comfortable with myself than I’ve been since age 4. 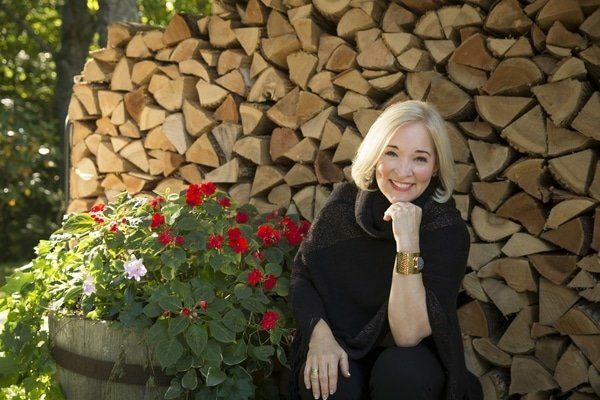 After spending decades transforming women’s understanding of their sacred bodies and processes, Dr. Northrup now teaches women to embrace a new mindset and thrive at every stage of life. In her new book, Making Life Easy: A Simple Guide to a Divinely Inspired Life (December 2016, Hay House), Dr. Northrup reveals her long-hidden secrets to mind/body/spirit well-being. Don’t miss Dr. Northrup’s cutting-edge information. Follow her at www.drnorthrup.com, on Facebook, Twitter, and her Internet radio show, Flourish! Click here to check out Dr. Northrup's new book Making Life Easy: A Simple Guide to a Divinely Inspired Life.